Since its founding by John Jacob Astor over a century ago, The St. Regis New York has established itself as one of Manhattan&apos;s most alluring addresses. Our flagship 5-star hotel has evolved to reflect the rich history of St. Regis, while infusing the timeless luxury that has come to define it. Every element of the hotel is carefully considered, from the richly decorated rooms and designer suites to the graceful public spaces, highlighted by a regal rooftop ballroom. Exceptional dining at Astor Court and the world-class King Cole Bar - home to the nation&apos;s first Bloody Mary - further enhance the experience. Guests enjoy thoughtful amenities including the St. Regis Butler Service and usage of the chauffeur-driven Bentley House Car; our unparalleled Midtown location facilitates leisurely exploration of some of the city&apos;s most popular attractions, including Bryant Park, Radio City Music Hall and Rockefeller Center. In 1904, John Jacob Astor IV founded The St. Regis New York as a place to pursue his passions in the company of the city’s luminaries. A source of wonderment to visitors for a century, The St. Regis New York was declared a New York City Landmark in 1988. 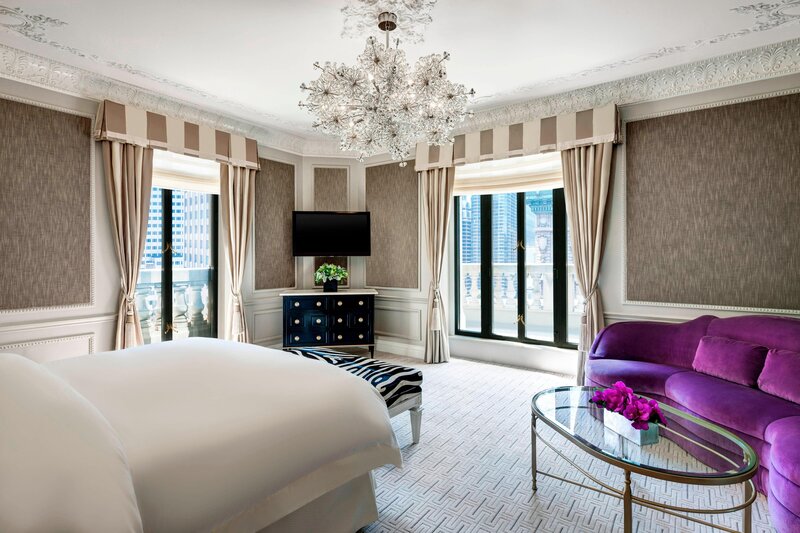 St. Regis New York&apos;s Tiffany, Dior, and Bentley designer suites offer guests privacy, luxury and exquisitely designed accommodation reflecting the designer&apos;s vision such as jewel inspired furnishings and the signature Tiffany Blue. Distinctive in décor, Designer Suites—distinguished as the Dior Suite, Tiffany Suite, Milano Suite, and Bentley Suite—each boast an ample living room with views facing New York’s world-renowned Central Park, Fifth Avenue, and 55th Street. From Afternoon Tea to exquisite dining, our culinary options reflect the style and sophistication of Manhattan. The hotel&apos;s famous King Cole Bar, home of the original Bloody Mary, remains one of the city&apos;s most stately cocktail lounges, attracting NYC&apos;s elite on a nightly basis. 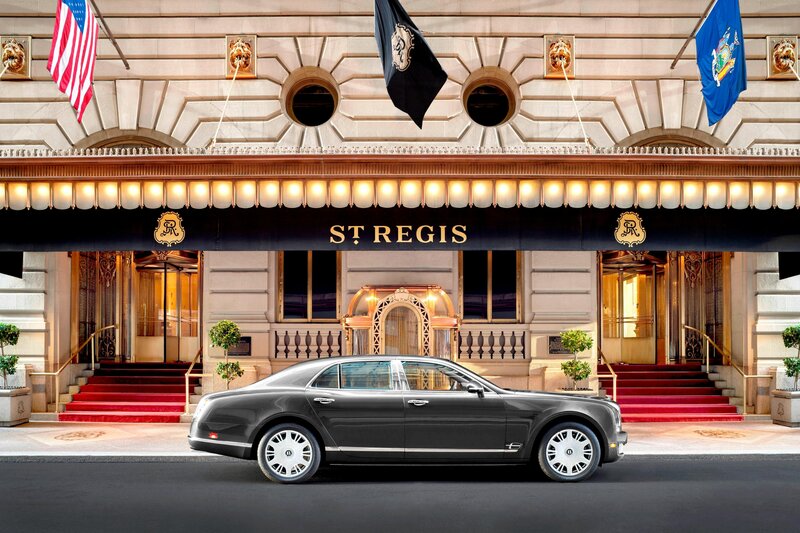 The St. Regis New York provides its guests with an unparalleled opportunity to discover extraordinary destinations in the sophisticated setting and exquisite craftsmanship of Bentley. The Bentley House Car is available on a first-come, first-served basis for complimentary drop-offs within a 10-block radius of the hotel. Discover New York City destinations from the comfort of our luxurious Bentley hotel car. Allows us to provide arrangements for your next Bentley experience.